As I clutched the mountaineering rope, dislodging stones while clambering for footholds on the rocky face of Mt. Lee, it occurred to me that this was a really bad idea. It was my second descent to the Hollywood Sign, but my assumption that experience would make things easier was being turned on its head. In fact, the climb was turning out to be much harder than I remembered, and by not leaning back out of fear I was making things worse. True, my previous trip was 5 1/2 years ago, making me that much older. But I go to the gym! I lift weights! I do Pilates! Unfortunately, those activities are neither rappelling nor rock climbing, which is what you have to do to get to the Hollywood Sign and back from the fire road above it. Did I mention it’s really, really steep? And that before hitting the rope, I had to make my way, mountain goat-style, for about 100 yards along a narrow grassy ledge from the gate to the rope hitch? And that I’m somewhat acrophobic? Before I go any further, let me state that I was making the trip legally. 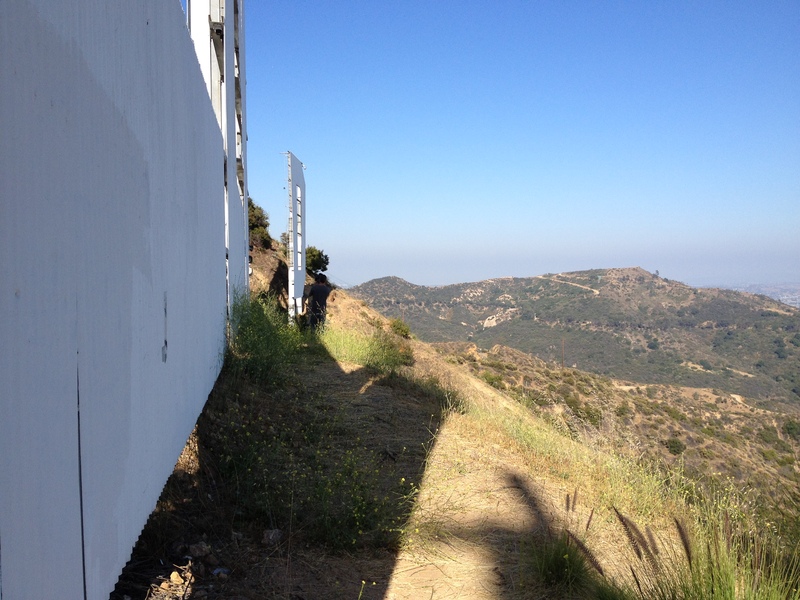 Those who attempt to climb (either up or down) to the Hollywood Sign illegally will be arrested. Police helicopters come to remove trespassers, who then are prosecuted. As for the idea of “sneaking up,” the Sign is equipped with cameras and motion sensors that make it impossible to be there undetected. So please don’t try. Going to the Sign was never a goal of mine, let alone the obsession it seems to be for some people. But when I started work on my documentary Under the Hollywood Sign in the fall of 2006, I knew it would be important and visually worthwhile. After learning that journalists, photographers, filmmakers and others with a legitimate project can gain access through the Hollywood Sign Trust, I inquired and got a yes. That was how, on a brilliant late October day, I made my first trip to the Sign, where I interviewed Chris Baumgart, Chairman of the Trust. We were only allowed an hour, barely time to set up and do the interview, and because of this I have almost no B-roll from that day. 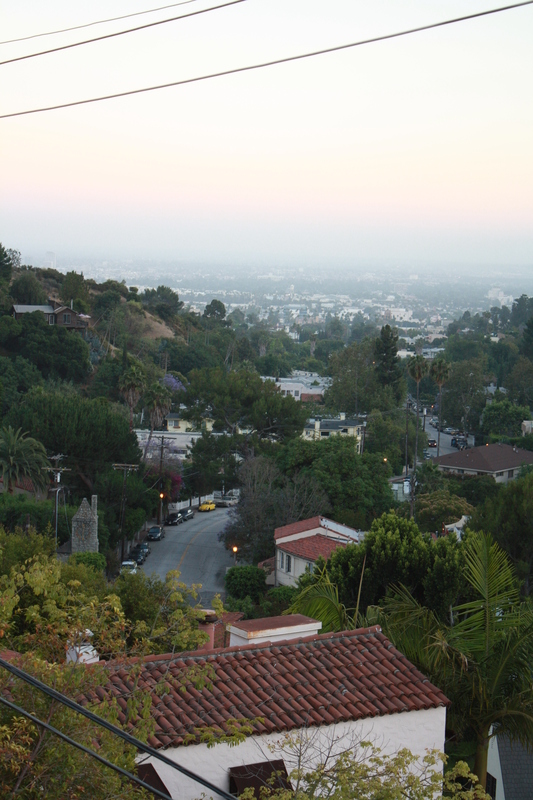 What I remembered most about the experience was the breathtaking view, which encompassed not only Beachwood Canyon and Lake Hollywood but the entire Los Angeles Basin, and beyond it, the blue Pacific. Afterwards, I spent the next 2 1/2 years on the documentary, after which I started this blog and other projects. 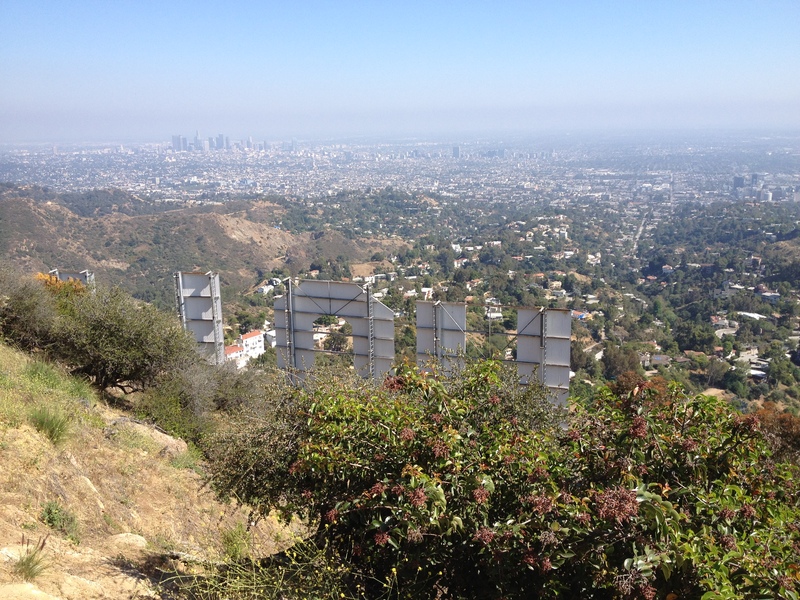 My experience at the Hollywood Sign faded like a dream, and I never thought I would go back. But a couple of weeks ago, when I agreed to be interviewed about the Hollywood Sign (for the program Personne Ne Bouge) by Coralie Garandeau, a reporter for France’s TV Arte, I asked if she would like to film there. She was enthusiastic, so again I asked and was granted permission. Last Tuesday afternoon, Coralie, cameraman Olivier Mirguet and I were met by Diana Wright, a publicist for the Trust, who took us up the fire road to the back of the Sign. In the years since my first shoot, I occasionally walked my dog up to the Sign along that road, a steep switchback that requires the better part of half an hour to ascend on foot. By car it takes about 5 minutes, during which we passed more walkers than I’ve ever seen along the road at one time–about 30, all of them baffled by our decidedly civilian appearance on a road normally restricted to police and ranger vehicles. At the top I parked and changed into hiking shoes. We followed Diana through the security gate, which she locked behind us. She set the rope and I went down first. The distance was about 40 feet but seemed to take forever. Once off the rope, I found the terrain rockier and narrower than I remembered. I don’t think it was my imagination that it had changed–5 winters of rain and erosion had left their mark. Picking my way along the steep approach to the letter H, I kept catching my shoes on the rough grass and slipping on the ping-pong ball-sized rocks under my feet. After a bit more climbing I was there, admiring the view from a narrow ledge and feeling the onset of vertigo. (Though not a fan of heights, I didn’t have this reaction last time; it wasn’t until afterwards that I realized dizziness was a side-effect of the antibiotic I was taking.) In a few minutes, Coralie and Olivier arrived, and then Diana. We began the interview, which content-wise went well enough. But the wind, glare and vertigo made me feel (and, I’m afraid, look) tense and fearful. I had expected to be in and out in the space of an hour, but–unlike the 2006 publicist, who stayed above and periodically phoned to hurry us along–Diana didn’t rush us. She waited calmly, taking in the view while sitting meditatively at the edge of the cliff, as I maintained my terror-struck stance by the letters. (Because she goes there as much as once a week, she rappels like a pro.) From time to time people watching the Sign from below would spot us and begin to climb up, a phenomenon I remembered from 2006. A police helicopter quickly came to warn them away, interrupting the interview and providing some interesting B-roll. Finally it was over. As I clawed my way up Mt. Lee, I swore this would be my last trip to the Sign. After what seemed like an eternity, I reached the fence, dusty and sore but miraculously uninjured. Because I was the first one up, however, I was locked in. Still dizzy, I white-knuckled the fence. To avoid looking down, I struck up a conversation with a lone hiker on the opposite side. “How did you get over there?” he asked. I explained about the TV interview and he said, “They make you work for it, huh?” Truer words were never spoken. I finally got into the so-called Bela Lugosi house last June because the Hollywoodland Homeowners Association held a fundraiser there. (Disclosure: I was briefly a board member last year, but am no longer.) The house had just been sold after four decades of ownership, and its decrepitude was increasingly obvious from the outside. During the last rainy winter, its slate roof had to be tarped because of leaks. Outside, untended oak trees in the garden encroached the public stairs, forcing pedestrians to duck low-hanging branches. I’d already been warned the house had only one functioning bathroom, and that due to its condition we would not be allowed to use it. Nevertheless, upon entering I was pleasantly surprised: the public rooms were large and airy, with their original charm intact: wood beams, stone hearth and casement windows boasting beautiful views. My favorite room–a solarium connecting the living and dining rooms–faced Beachwood Village, the surrounding houses and trees, and the City below. To the north and south, the only nearby houses I saw were ones dating from the 1920s, like the one I was in. It struck me that I was enjoying the same views that Bela Lugosi saw during his residence, and for a moment I almost believed in time travel. A few months ago, the new owner’s renovation of the house began in earnest. It promises to be a total overhaul with no expense spared, and not a moment too soon. Like Wolf’s Lair, the Lugosi House was bought by someone with deep pockets and a desire to restore it to its original 1926 glory. As a neighbor as well as local historian, I look forward to the result. A recent screening of “Ed Wood,” Tim Burton’s wonderful 1994 feature about the schlock filmmaker’s association with the down-and-out Bela Lugosi, made me all the more curious about Lugosi’s life in Los Angeles. I had seen the movie three times before, but this showing–at the American Cinematheque–had a bonus: a Q&A with the screenwriters. Scott Alexander and Larry Karaszewski conceded they had made up most aspects of Wood’s and Lugosi’s friendship out of necessity, since relatively few details were known. Though it takes place mostly in Hollywood, “Ed Wood” shows Lugosi living in genteel poverty in a Baldwin Hills ranchburger (though the house appears to be in the flats). This seemed odd to me even during my first viewing in 1994, when I knew nothing about the actor’s life. But I knew that in the 50s, Baldwin Hills was a middle class, mostly Jewish suburb with few, if any, Hollywood associations; what would an impoverished Hungarian Catholic movie star be doing there? Years passed, during which I saw “Ed Wood” twice more: once at the 1995 Cannes Film Festival (where none of the French laughed at the jokes and all the Americans did), and once on DVD. Each time the Baldwin Hills detail struck a false note, though I couldn’t disprove it. 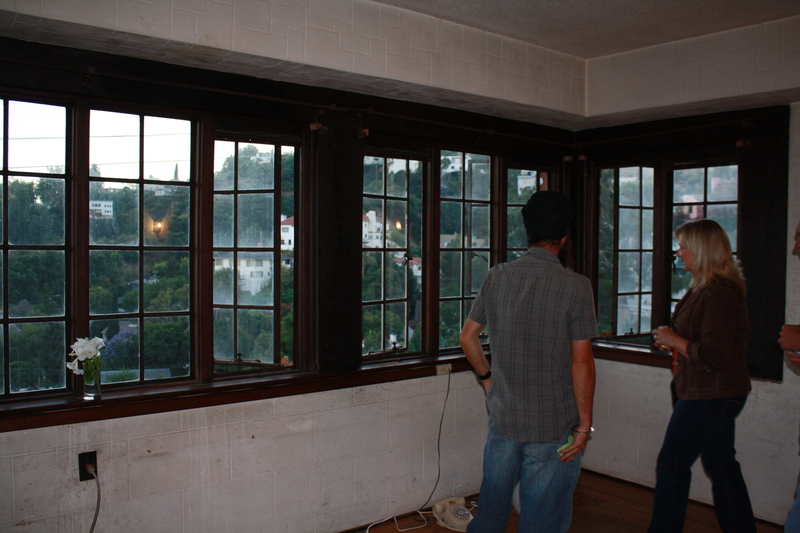 Upon moving to Beachwood Canyon in 2005, I learned that Lugosi had lived in an imposing Tudor house on Westshire Drive. From the outside, it seemed a fitting residence for him, certainly moreso than the little ranch house in the movie. The inside was a mystery until a year ago, when the house came on the market after the death of its most recent owner. Although badly neglected, it was at least spared the usual bad 1960s or 1970s makeover. In fact, it probably looked much the way it did during Lugosi’s residence–stately and peaceful, with sweeping views of the Canyon and city. 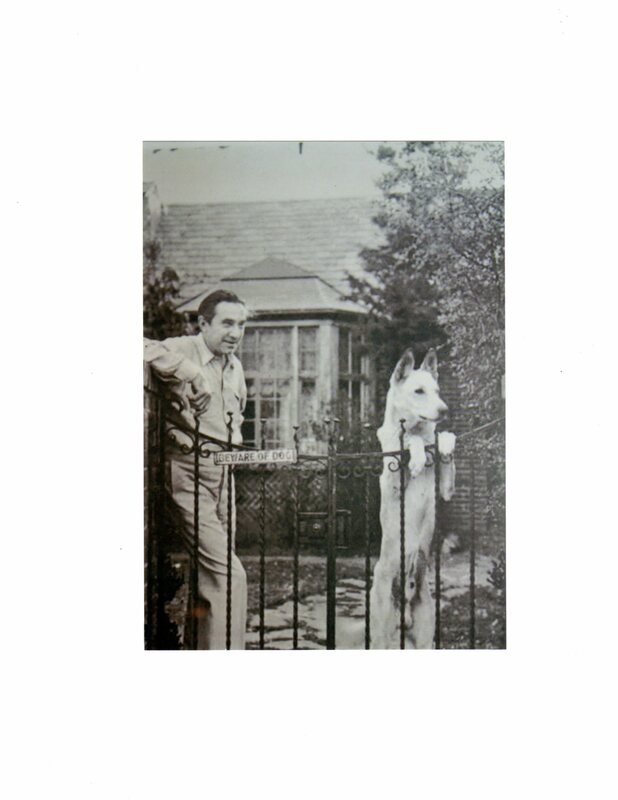 The above photo shows its provenance: Lugosi poses with his white German Shepherd at the front gate, which remains in place. 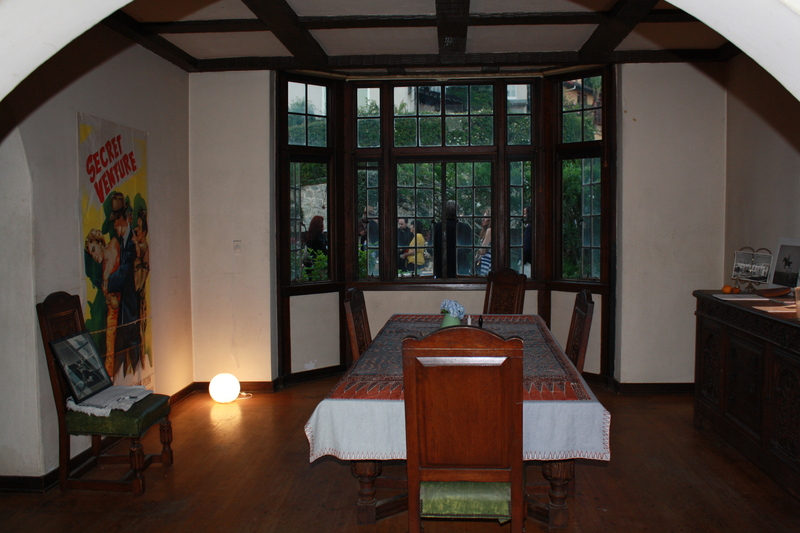 Bela Lugosi lived in the Westshire house during the 30s, though the exact dates are unknown. Confusingly, he also seems to have lived next door for a time, in the so-called Roy Rogers-Kathy Bates house. 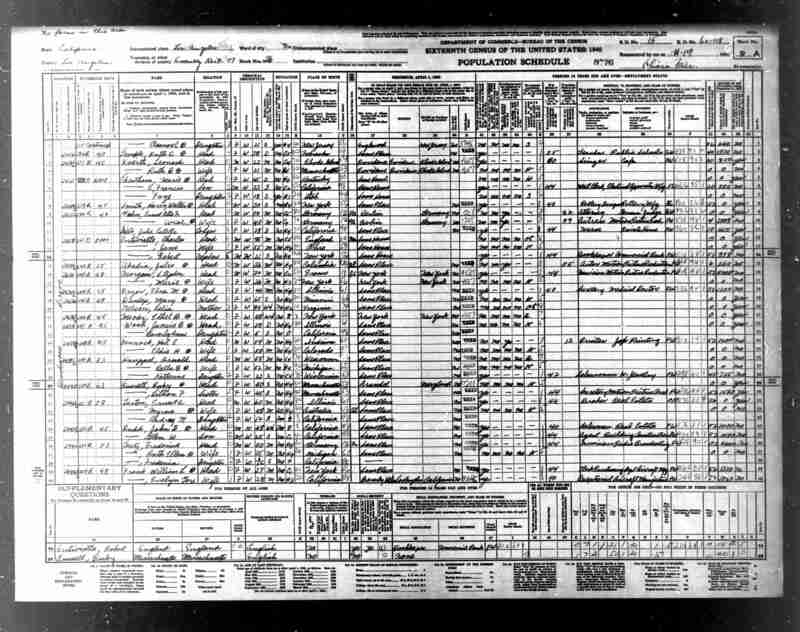 When I began to research Lugosi’s down-and-out years, I found his final, “Ed Wood” period address: an apartment at 5630 Harold Way in Hollywood, where he lived from about 1954 until his death in 1956. But what about the years between? Like most movie stars of his era, Lugosi moved a lot–and by that I mean nearly every year. The invaluable Movieland Directory shows some 20 addresses for the actor over a quarter century, all in Los Angeles. 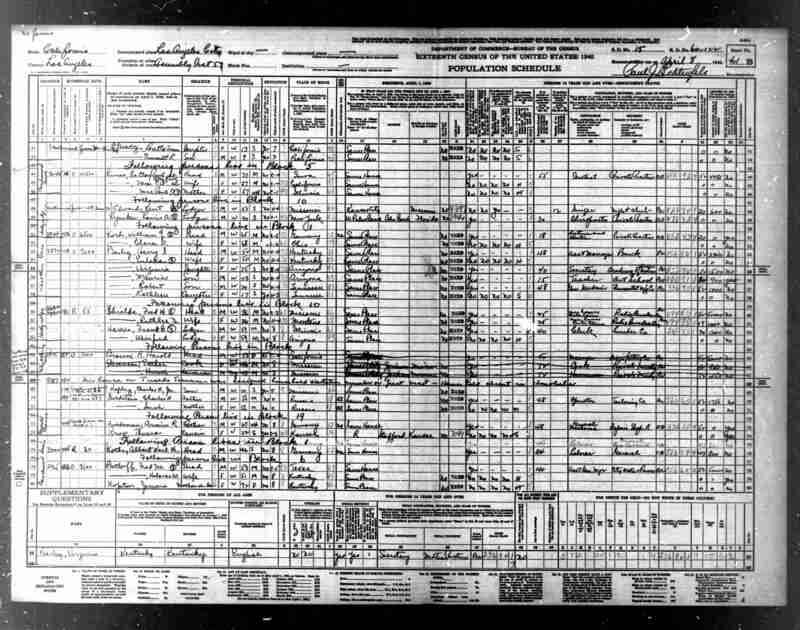 Though he lived as far west as Blue Heights Drive (in what is now West Hollywood) and as far east as Cedarhurst Circle (in Los Feliz), Lugosi generally preferred Hollywood, particularly the hills. Except for a brief, Dracula-related rental on South Hudson near LA High in Mid-City, and another on N. Westmoreland Avenue, he never lived south of Sunset Boulevard, which finally puts to rest the Baldwin Hills idea. Interestingly, one of his addresses in the 1930s was 1534 N. McCadden Place, a charming Craftsman that until recently housed a restaurant, Cafe des Artistes. Another of his short-term addresses was the Hollywood Athletic Club ((6525 W. Sunset Blvd. ), notorious playground of Charlie Chaplin and W.C. Fields. 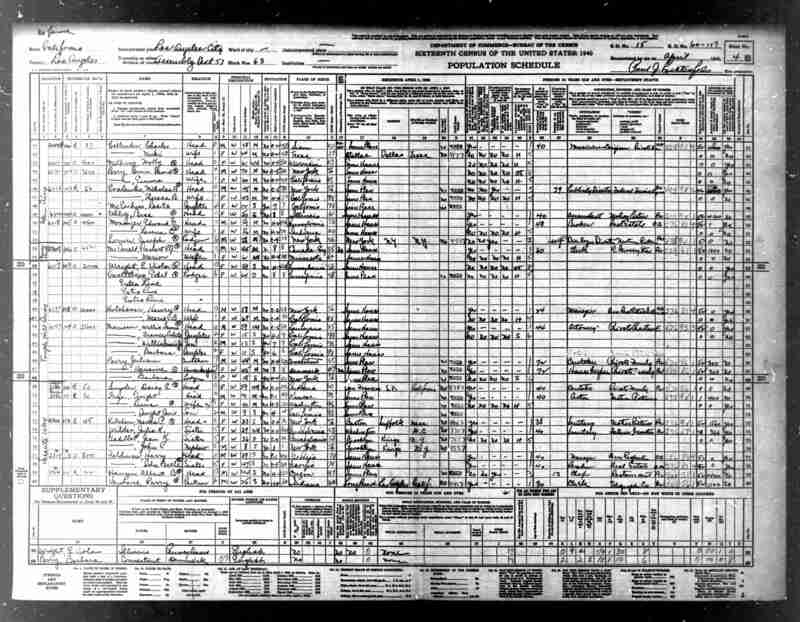 Throughout the 30s and early 40s, Lugosi lived in mostly attractive single-family homes whose square footage ranged from 2,736 to 8,436. But during WWII he decamped to North Hollywood, where he lived in an unimpressive 5-unit apartment building, apparently known as “The Dracula House,” at 10841 Whipple Street. That address was less than ten miles away from the Hollywood Hills but far removed from that neighborhood’s prestige and charm, and far cheaper. Lugosi’s last apartment on Harold Way–where he apparently moved after drug detox–was even less impressive, but at least he was back in Hollywood, his home. As for his eternal address, Lugosi is buried in Holy Cross Cemetery, ironically close to his fictional Baldwin Hills address. An alternative resting place–his star on the Walk of Fame–can be found at 6340 Hollywood Boulevard. You are currently viewing the archives for June, 2012 at Under the Hollywood Sign.